'How To Tie-Off a Belay Device' is part of the e-book - Trad Climbing Basics. When belaying with a standard belay device, you obviously can't let go of the rope. But sometimes it's really useful to have both hands free. 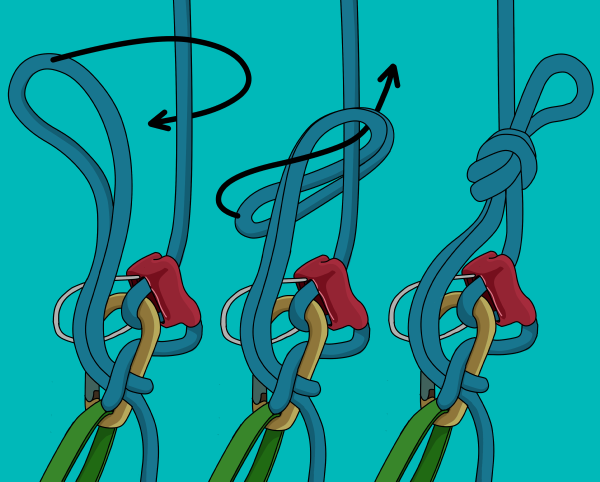 In situations where the rope isn't weighted, a simple overhand knot backed up to your belay loop will work. 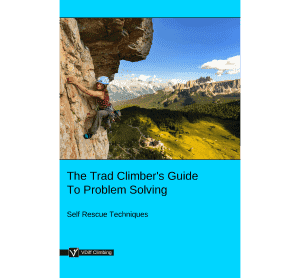 However, if the rope becomes weighted when using this method (e.g; if the leader falls), it will be almost impossible to release the tie-off. If there is any chance of this happening, you should instead use the mule-overhand method (described below). 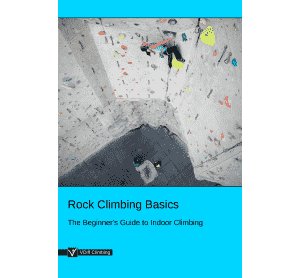 This allows you to tie-off your belay device while the leader is weighting the rope, and also release the tie-off when it's weighted. Pass a loop of the slack rope through your screwgate carabiner with one hand while keeping hold of the rope with your brake hand. 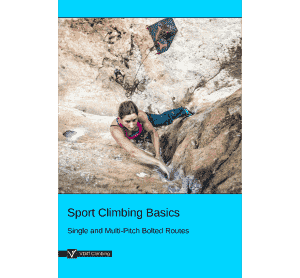 This can be difficult when heavily weighted – you’ll need to pinch the rope tight. 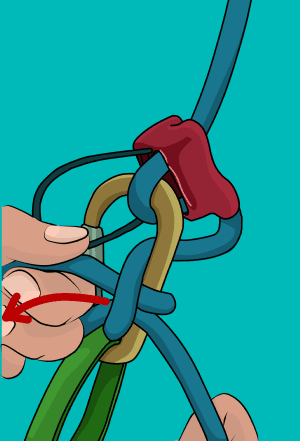 Pass a loop from the opposite side through the first loop so that a mule knot is formed around the spine of the carabiner. 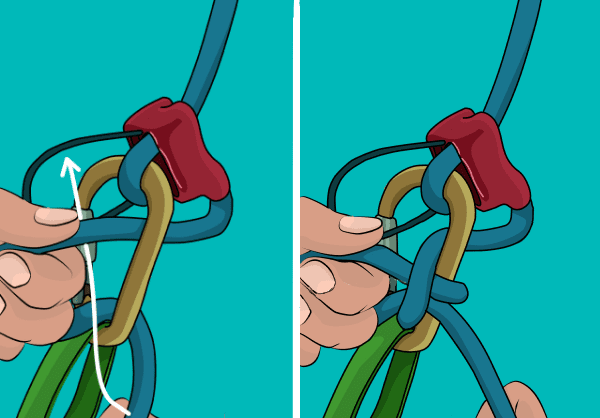 Do not tie this knot around the gate of the carabiner. Make sure the second loop is around 60cm long. 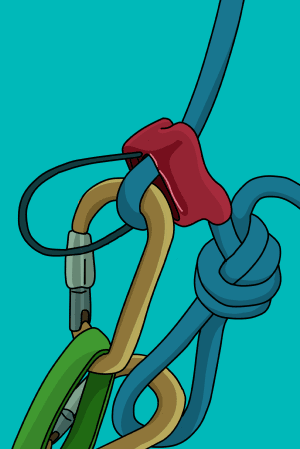 Tie an overhand knot around the tensioned rope as shown. A carabiner completes the hands-free mule-overhand knot. To release the tie-off with the rope loaded, first untie the overhand knot. Then holding the slack rope securely with both hands, simply pull down to release the mule knot. You should be ready to expect a few centimetres of rope to slip through. 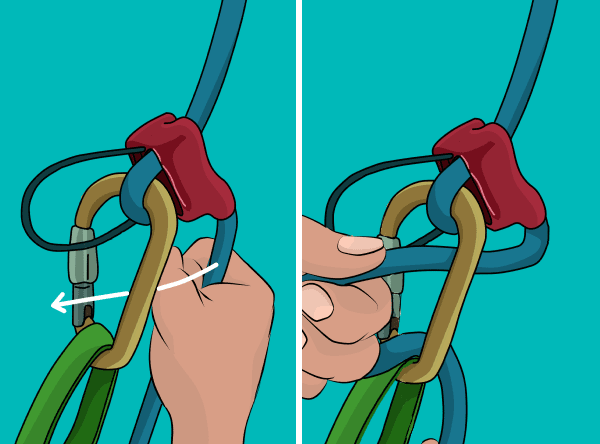 Keep a firm grip so you do not lose control of the belay device. 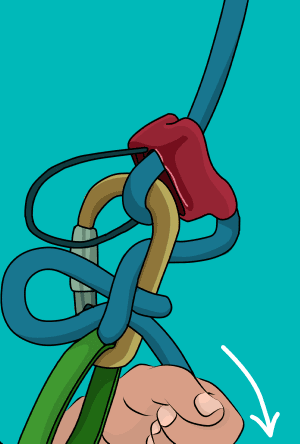 You can now belay or lower the climber as normal. 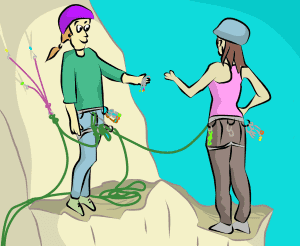 * If belaying with two ropes (such as half ropes), simply treat them as one rope and follow the same steps. 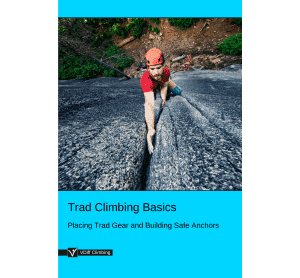 Make sure to communicate with your partner so they know not to continue climbing while tied-off.